If you have any questions about the TWILIGHT information page below please contact us. TWILIGHT is ex project/yacht name 453c Grindstone; Ar-De; Silver Cloud; Elouise. This 35 metre (114 foot) luxury yacht was constructed by Burger Boats in 1985. Motor Yacht TWILIGHT is a well proportioned superyacht. The naval architecture office that made the drawings in respect of this ship is Jack Hargrave and Kevin Kalhoun. The original interior design and styling was the talent of Michael Christiano/Lisa Pirofsky/Carolyn Deyfoos. Luxury yacht TWILIGHT is a handsome yacht that can accommodate as many as 8 people on board and has approximately 6 professional crew. Jack Hargrave was the naval architect firm involved in the formal vessel design work for TWILIGHT. Also the company Jack Hargrave and Kevin Kalhoun skillfully collaborated on this undertaking. Interior designer Michael Christiano/Lisa Pirofsky/Carolyn Deyfoos was employed for the overall internal styling. the United States is the country that Burger Boats built their new build motor yacht in. After formal launch in 1985 in Manitowoc Wi the boat was passed over to the happy owner having completed final finishing. The hull was built out of aluminium. The motor yacht superstructure component is fabricated predominantly with aluminium. With a beam of 7.22 m / 23.7 feet TWILIGHT has moderate room. She has a reasonably shallow draught of 1.98m (6.5ft). She had refit maintenance and modification carried out in 1998. The 16V 92TA engine installed in the motor yacht is built by DDC. Connected to her Ddc engine(s) are twin screw propellers. The main engine of the ship gives 1450 horse power (or 895 kilowatts). She is equiped with 2 engines. The sum thrust for the boat is therefore 2900 HP / 1790 KW. As far as stabalisers are concerned she was supplied with Koopnautic. The bow thrusters are Koopnautic. Apportioning cabins for a limit of 8 yacht guests staying on board, the TWILIGHT accommodates them luxuriously. Under normal conditions she has room for approximately 6 able yacht crew to operate. 2400 at a speed of 14 knots. 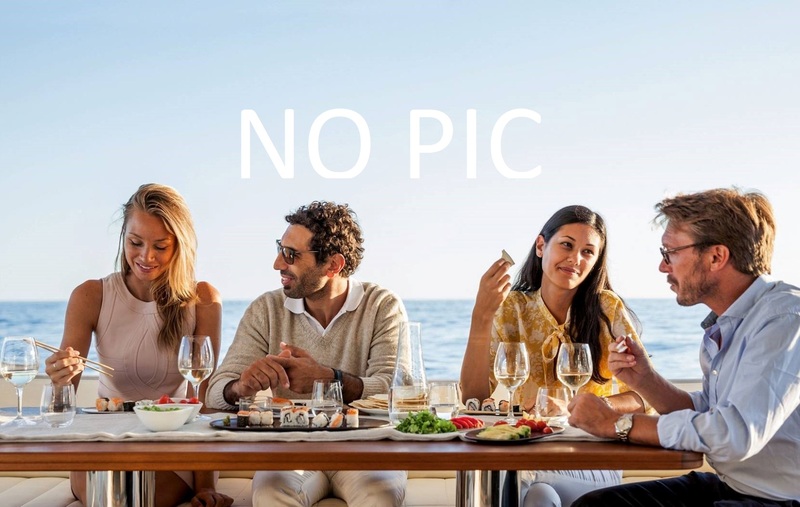 The luxury yacht TWILIGHT displayed on this page is merely informational and she is not necessarily available for yacht charter or for sale, nor is she represented or marketed in anyway by CharterWorld. This web page and the superyacht information contained herein is not contractual. All yacht specifications and informations are displayed in good faith but CharterWorld does not warrant or assume any legal liability or responsibility for the current accuracy, completeness, validity, or usefulness of any superyacht information and/or images displayed. All boat information is subject to change without prior notice and may not be current.